PSA Peugeot Citroën migrated HR Access applications from Micro Focus to COBOL-IT in less than 3 months. Cobol-it > Micro Focus COBOL > PSA Peugeot Citroën migrated HR Access applications from Micro Focus to COBOL-IT in less than 3 months. PSA Peugeot Citroën migrated its HR Access Personnel Administration and Payroll applications from Micro Focus to COBOL-IT, while preserving the rest of their Solution Stack. The migration was completed in less than 3 months. Cost-reduction goals were all met or exceeded. Headquartered in Paris, PSA Peugeot Citroën is a French manufacturer of automobiles sold under the Peugeot, Citroën and DS brands. 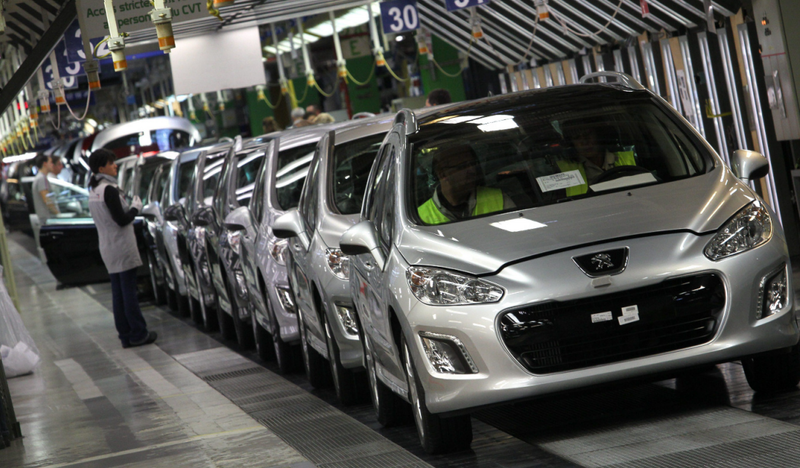 In 2015, PSA had over 54 billion euros in Annual Revenue. The PSA Human Resources and Payroll applications serve over 80,000 employees. SIRH is a Mission-Critical application that integrates HR Access software, a Sopra HR software,division of the Sopra Steria Group, with an in-house component that consists of about 450 COBOL programs, comprising over half a million lines of code. These COBOL programs were originally written with Micro Focus COBOL, using Oracle Pro*COBOL and Oracle databases. The PSA COBOL application portfolio is maintained by a dedicated team of in-house developers. Faced with high increase of license costs from Micro Focus COBOL, PSA determined that they had to change COBOL compiler vendors quickly. Being able to realize the necessary cost savings would only be possible if the replacement COBOL could bring the HR Access Back Office Application online in 3 months or less. Sopra HR was able to manage this because shortly after acquiring HR Access, which is distributed globally and used by close to half of the largest corporations in France (CAC 40), Sopra HR evaluated HR Access with COBOL-IT. They were confident in recommending COBOL-IT as a new certified COBOL for the HR Access solution. COBOL-IT satisfied both their technical and commercial requirements and respected their time constraints. The migration was swiftly completed in less then 3 months. PSA did not ever consider any other alternatives. Extensive testing was performed to verify functional equivalence at the unittest level. In addition, benchmark testing was performed to validate that the COBOL-IT solution would perform with equal or better performance in all cases. COBOL-IT passed the unit tests and benchmarks, with some coaching from the COBOL-IT Technical Team when questions arose. There were no significant difficulties encountered in the migration. The COBOL-IT Technical Team was very responsive. All questions were answered promptly. The technical collaboration was excellent. PSA technicians had some questions about tuning the application at the system level. Also, about configuring COBOL-IT to interact with different file formats and other components in their Solution Stack. Questions were all answered promptly. As a result, the migration was finished in less than 3 months. Running HR Access core system with Micro Focus and facing unsustainable costs. Replace Micro Focus COBOL running highly customized HR Access application on Open Solaris platform with COBOL-IT. Use an alternative COBOL when upgrading to a new version of HR Access, reducing costs and risks. Need to preserve solution stack while switching COBOL compilers. Replace Micro Focus COBOL running highly customized HR Access application on Open Solaris platform with COBOL-IT. Complete preservation of functionality. Improved technical support. Required that the Migration be complete in 3 months or less. Replace Micro Focus COBOL running highly customized HR Access application on Open Solaris platform with COBOL-IT. Technical teams collaborated intensively to secure the maximum cost savings.